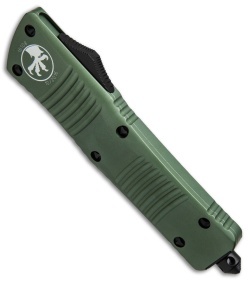 Microtech's largest OTF production knife is named after the Troodon dinosaur. The Combat Troodon is the larger version of the popular Troodon. 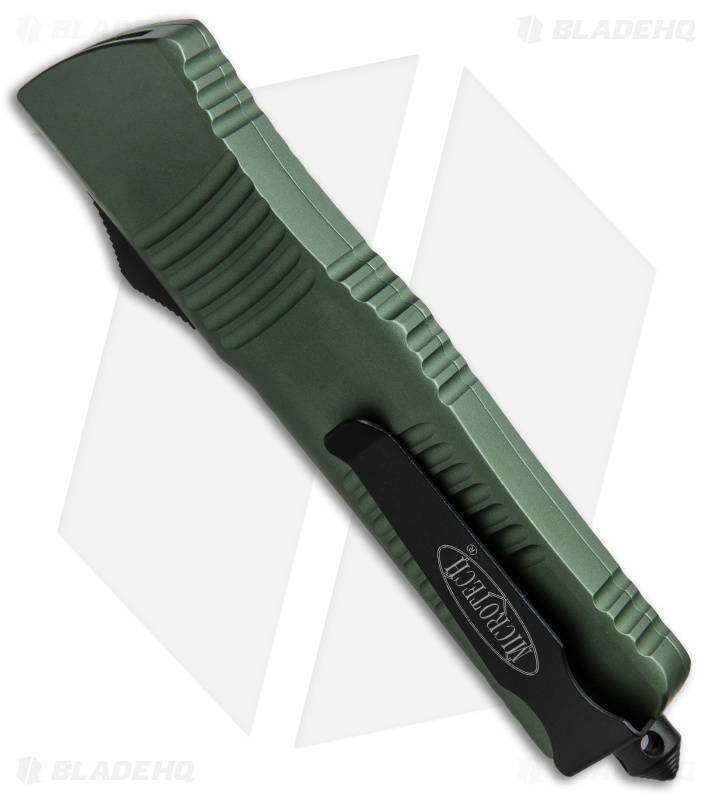 Despite the size, the handle feels slim and comfortable. 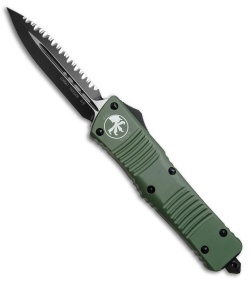 The double-edged dagger style blade is both attractive and functional and the action is Microtech excellent. This Combat Troodon has a two-tone black/satin finished double-edge dagger blade made from Bohler M390 steel with plain and fully serrated edges. The handle is green anodized aluminum with black finished steel glass breaker, pocket clip and hardware.